Your laptop is not allowing you to work properly!!! Do you have any problem with the hard disc? The hard disc is the primary storage device of your laptop. With the advent of science and technology, the power of the hard disc has considerably increased, and its size has significantly reduced too. Laptops have become portable enough to carry the small size of the hard disc. If you are using your laptop for professional use and your hard disc fail all of a sudden, you may lose your system's data accidentally. If your hard disc is failing to respond to you, contact us. Our team would attend your call and fix the problem as soon as possible. We will try to recover the data so that your valuable data isn’t lost. 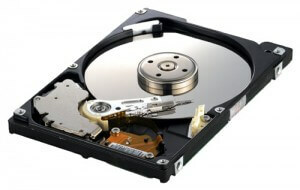 The hard disc may fail due to changing physical conditions like temperature change, environmental change, etc. We are providing laptop repair, replacement, spares, and accessories services to our customers from years. Our clients trust us because we believe in customers gain as our gain. We do not work to cheat them. If your laptops’ hard disc is not working, you can contact us and get the best laptop repair services in town.